St. John the Baptist youth ministry is a ministry that invites young people into a lived experience of their Catholic faith, so that their HEART knows God’s infinite love and shares it with others; their HEAD knows the fullness of the truth; and their HANDS serve always with humility and dignity. 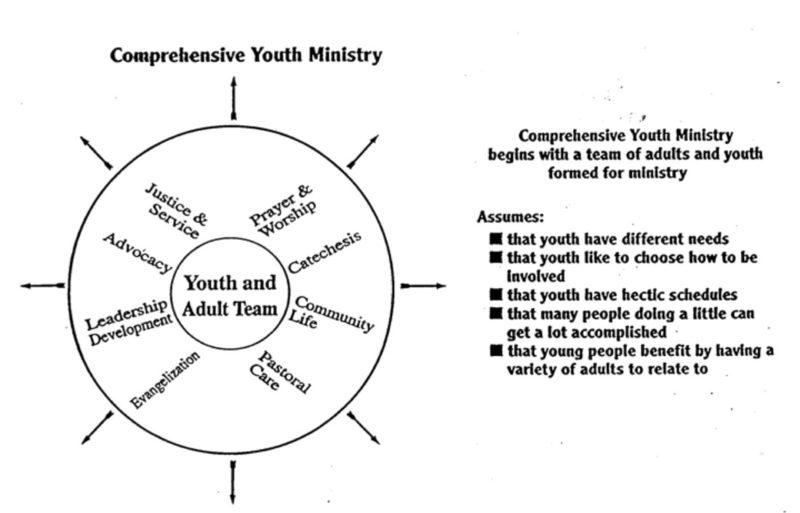 The mission of Youth Ministry for St. John the Baptist is to integrate young people into the life of our Church within the parish and greater Universal Church through the Eight Components of Renewing the Vision from the USCCB. A comprehensive model of ministry offers youth many options for expressing what they are passionate about through the lenses of their Catholic faith.